Box is made up of paper covered wood, notice the design on the front is different than the current boxes we normally see. 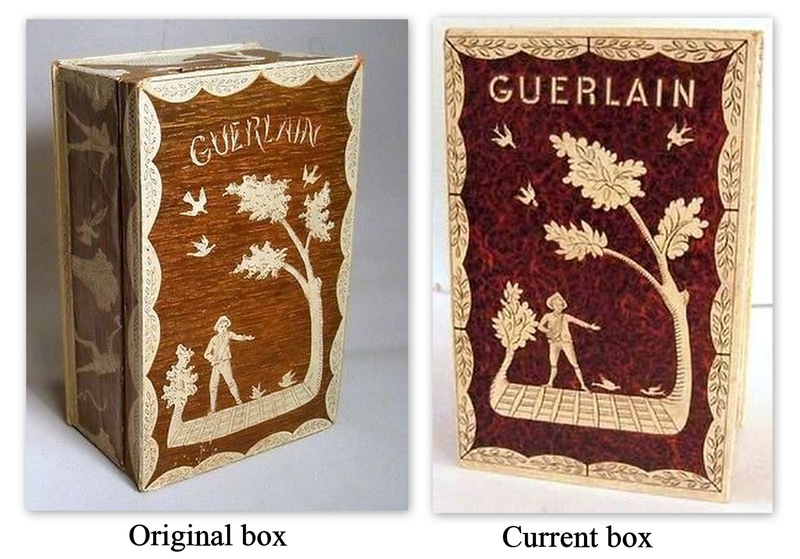 The older box has a wood grain effect to the background, whereas the newer box has a burled wood pattern. The font on the older box is slightly foliate, the newer box is a bit more modern. Also the tree design is more stylized on the newer box. The bird motifs are also slightly different in shape. Special Wartime Packaging late c1930-1950. 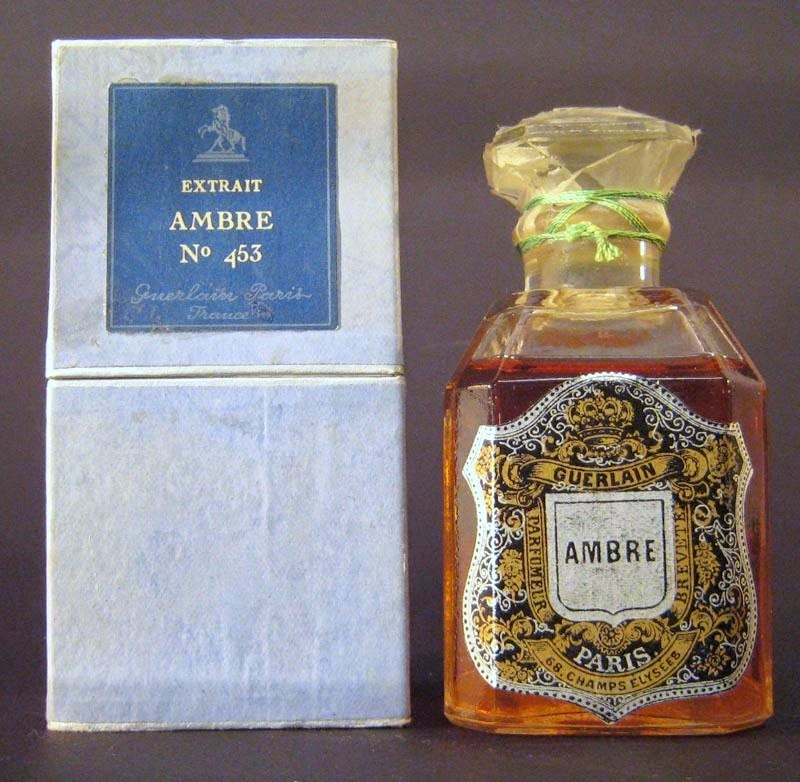 During 1940-1945, because of wartime restrictions, Guerlain's extraits were packaged in a simple blue and white boxes called presentations de guerre, marked "Conditionnement provisoire du manque d'ecrin-la qualite et la quantite du parfum sont rigoureusement identiques a celles de notre presentation normale." Coffee Bean Box Style c1940s-1960s. White Box style, c1950s-1967. Used for products that were blended in the USA from essences imported from France. Bottles were also imported from the French manufacturers and then the bottles were filled in the USA. Zig Zag (Zebra) Packaging c1967-1983. Starting in 1967 Guerlain packaged their fragrances, cosmetics and skincare products in black and white boxes imprinted with a zig zag like pattern. In the center of these boxes was a raised golden seal with the name of the fragrance or product in the center. This design was used until 1983, when a new design appeared. used from 1967 til 1983. Gold Zig Zag Packaging c1967-2008. Instead of the black and white boxes, these boxes now were different colors for different fragrances and the zig zags were now either black or gold, depending on the color of the boxes. This design was used up until 2008, when the boxes were then made up of a muted gold color with no zig zags. used from 1983 til 2008.